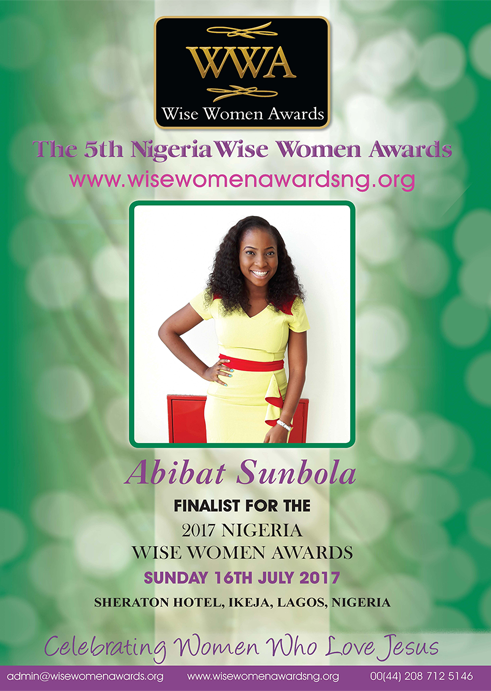 Abibat Oluwatoyin Sunbola is one of the founding Board members of Lagos Food Bank Initiative, a charity, non-profit private driven organization that provides food, basic health need and relief services for indigent and vulnerable people within Lagos. A Mass communication Alumni of the University of Lagos and a Human resources practitioner from the same University, Abibat with other board members has grown the organization founded in 2015 from 12 volunteers and 100 beneficiaries to over 500 volunteers and over 27,000 beneficiaries respectively with several partners ranging from NAPIMS, Nigerian Stock exchange and Uber Nigeria amongst others. Abibat also works in the Human resources department as the Performance Supervisor with Sahara Group Limited, a leading energy firm in Nigeria with presence in 8 countries on 3 continents. She is married to Mr Michael Sunbola with whom they have a child.